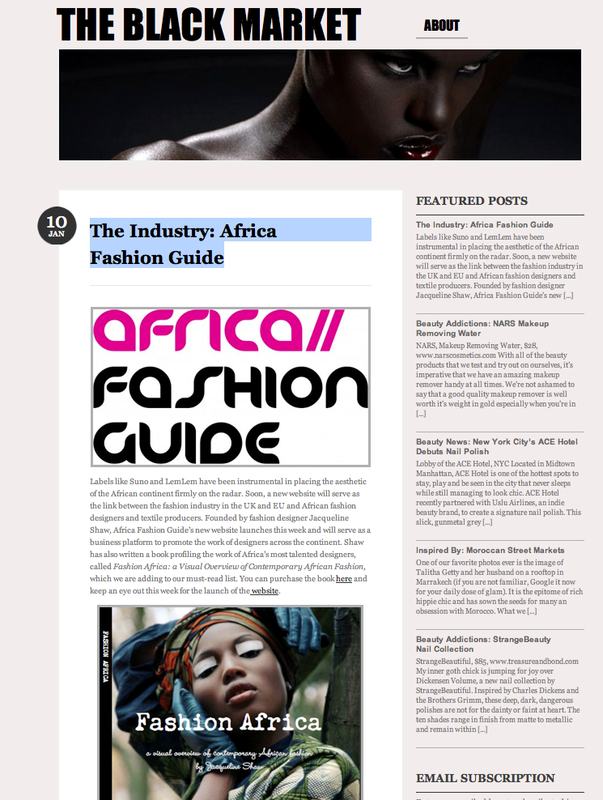 Check out this feature by Black Market Mag about AFG! 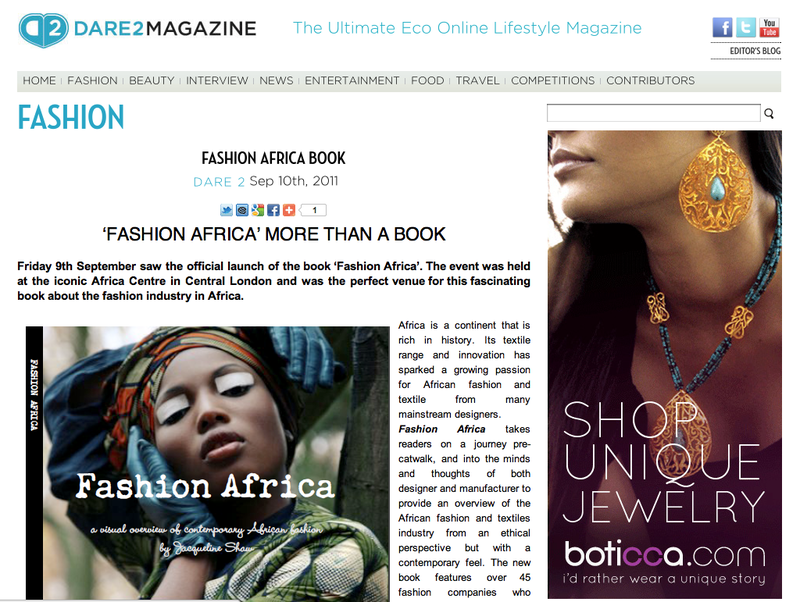 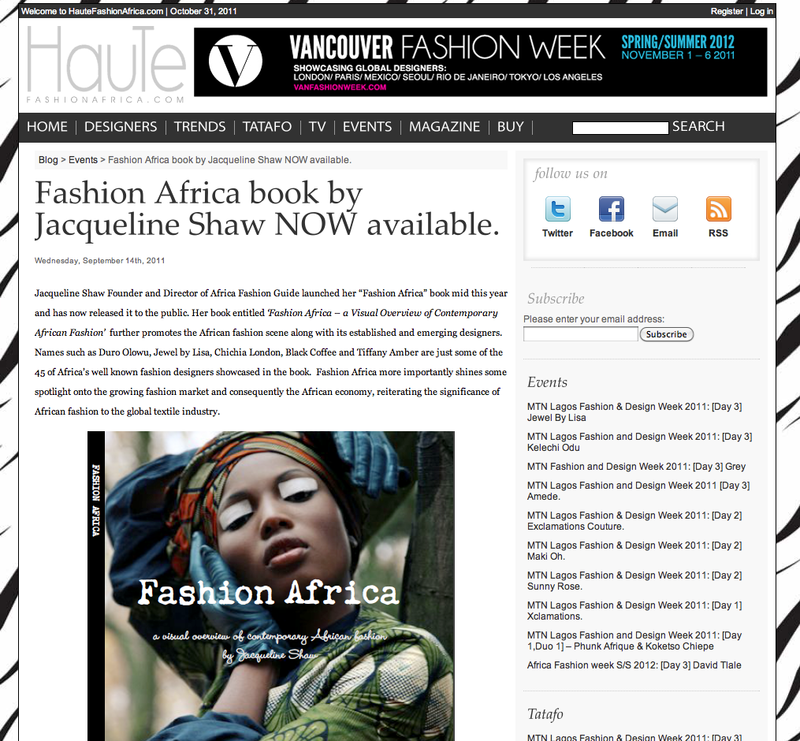 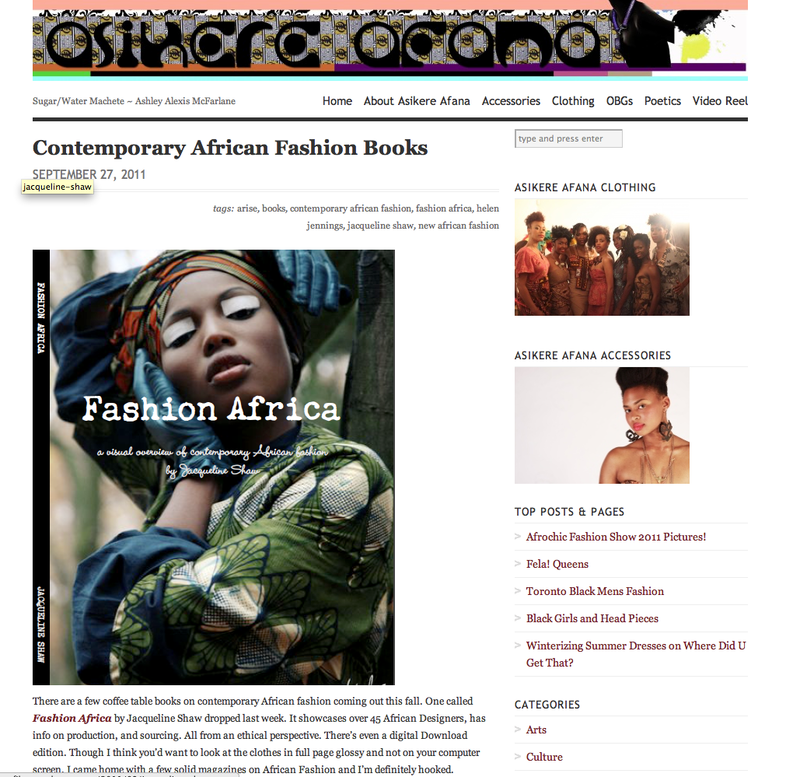 Check out this feature by Joy Francis of Words of Colour about Africa Fashion Guide Director Jacqueline Shaw’s and her book Fashion Africa! 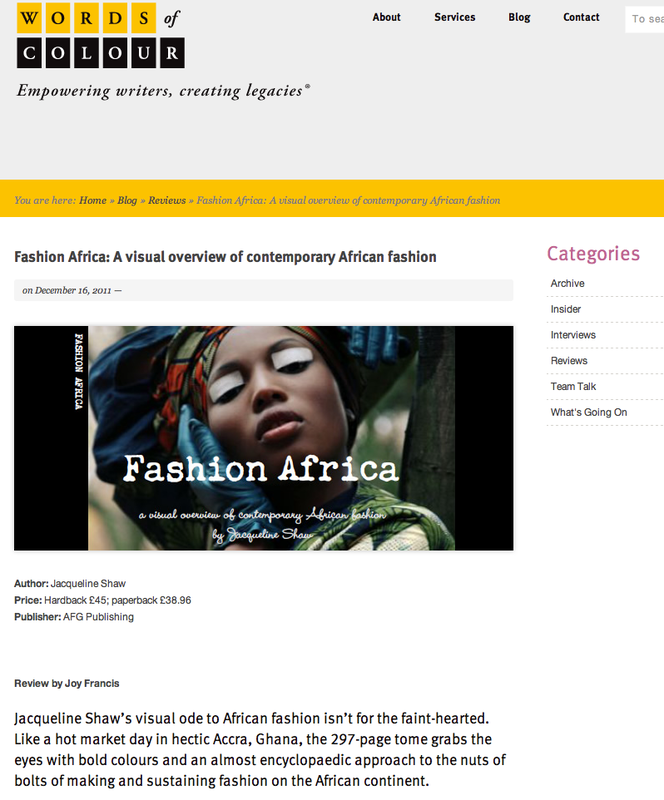 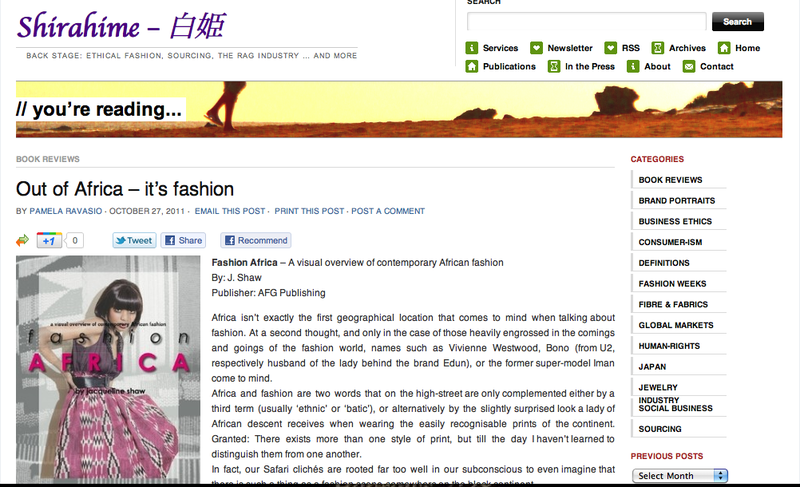 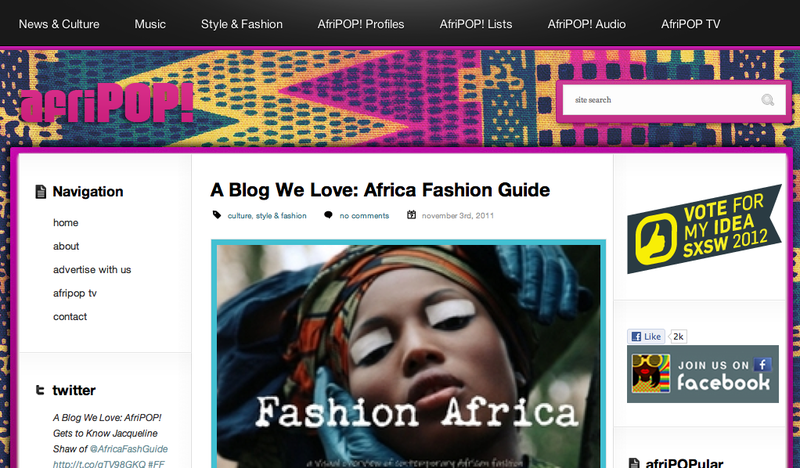 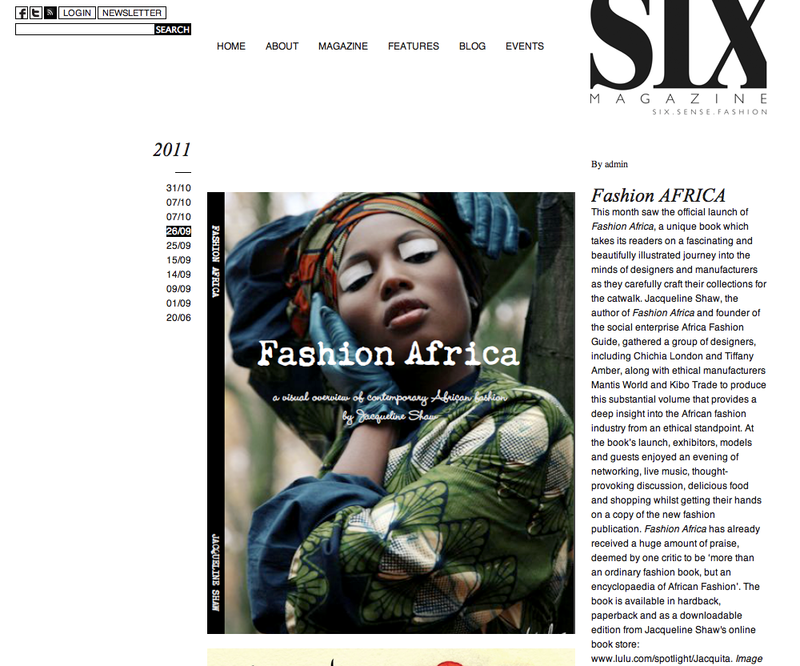 Check out this feature by AfriPop about Africa Fashion Guide Director Jacqueline Shaw’s and her work with Africa Fashion Guide!